The Sri Lanka Campaign is deeply concerned by recent attempts by senior government of Sri Lanka officials to intimidate Attorney at Law, Mr Lakshan Dias – a vital and irreplaceable voice within the human rights community who has worked tirelessly in support of detainees held under Sri Lanka’s draconian Prevention of Terrorism Act, as well as asylum seekers who have been deported back to the country. Unaddressed, these attempts could have a chilling effect on the freedom of expression of members of the judiciary and civil society at large. Without a quick change of course by the government, they may also help pave the way for further violent attacks against Sri Lanka’s minority communities. The incidents in question followed an appearance by Mr Dias on the popular Sri Lankan talk show ‘Aluth Parlimenthuwa’ on Derana TV on 14 June, in which he stated that 195 attacks and other types of harassment against Christians had occurred since the beginning of 2015. These figures were drawn from credible research by the National Christian Evangelical Alliance of Sri Lanka (NCEASL) – research based partly on police statistics, and echoed in the findings of other organisations who have examined this issue. Mr Dias’s remarks were made during a discussion about the latest spate of anti-Muslim violence which has swept the island, allegedly instigated and orchestrated by extreme Buddhist nationalists, including monks affiliated with the Bodu Bala Sena (BBS – “Buddhist Power Force”). The response to the remarks was two-fold. First, President Sirisena, speaking on state television on 16 June stated that he had inquired about the comments with the strongly pro-government Roman Catholic Cardinal Malcolm Ranjith, who had reportedly told the President that he was unaware of any such attacks. In and of itself, that statement is a remarkably brazen whitewash. As recently as 31 May, Sri Lanka’s Human Rights Commission had written a letter to the President bringing to his attention recent attacks against Christians. It is also a deeply irresponsible one. In the context of ongoing violent attacks, they are words that will no doubt risk further emboldening perpetrators against critics such as Mr Dias, and generate even more fear and self-censorship among others like him who wish to speak out. Second, on 17 June the Sri Lankan Minister of Justice, Wijeyadasa Rajapakshe made an appearance on a state television channel in which he dismissed the figures cited by Mr Dias and threatened to remove him from the legal profession if he did not apologise to the nation within 24 hours. The emptiness of this threat – for the Minister of Justice lacks the power to take such action – underscores its political nature, and raises serious questions about respect for due process and the rule of law. Any attempt to arbitrarily and unlawfully interfere with Mr Dias’s right to practise his profession would clearly run counter to international human rights standards. This includes the United Nations Basic Principles on the Role of Lawyers, which state that lawyers “have the right to take part in public discussion of matters concerning the law, the administration of justice and the promotion and protection of human rights… without suffering professional restrictions by reason of their lawful action”. 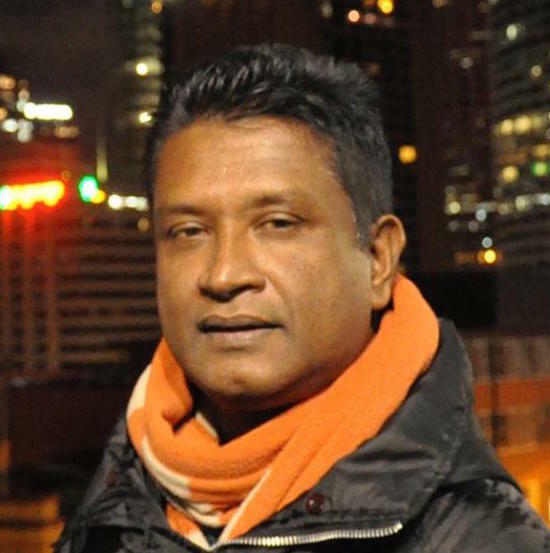 Responding to government officials, civil society activists issued a statement earlier this week in which they made clear that they “view the targeting of Mr Dias as an attempt to silence activism”, and expressed “serious concern about the threat posed to Mr Lakshan Dias’s legal career and his safety”. Today, protestors gathered at Fort Railway Station to voice their solidarity with Mr Dias and to urge the Justice Minister to row back on his remarks. Meanwhile, and as if to underline the crossroads at which the government of Sri Lanka now stands on this issue, extraordinary reports emerged of the arrest and release on bail – twice – of Gnanasara Thero, the leader of the BBS who has evaded arrest for over a month despite multiple police warrants. The government now faces a stark choice as to the handling of these twin issues, a choice with decisive consequences: it can help stem the tide of recent violence against minorities, by acknowledging its grave scale as outlined by individuals like Mr Dias, and ensuring meaningful action is taken against perpetrators. Or it can provide a concrete guarantee that the future will repeat the past, by continuing to dismiss those who dare to recognise the problem, and giving further space to those who are at the root of it. On the third anniversary of anti-Muslim rioting in Aluthgama which left 3 citizens dead and many more injured, it is a choice which should weigh heavily on the minds of Sri Lanka’s leaders.